These cellular voice auto-dialers offer a reliable low cost monitoring solutions. 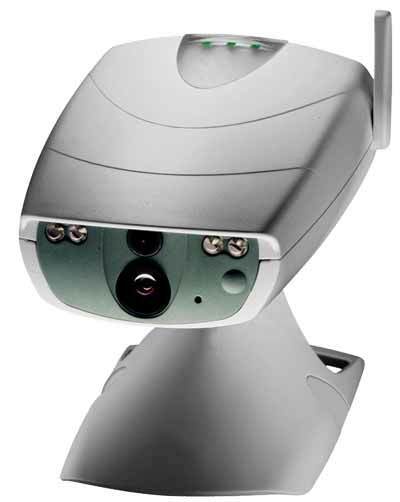 No phone line is rewuired and best of all no monthly contract for endless costly monitoring fees. Used by many who want to get peace of mind knowing that their RV, cabin, home, office, boat, storage garage, shipping containers, shops, manufacturing plants, etc. are safe and secure. 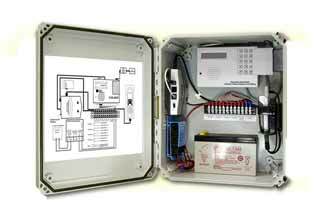 Using a vast array of sensors the dialer will monitor the area for unauthorized intrusion. Can also be used as a back-up in case the primary alarm system phone lines are cut. Unit can also be peogrammed to use a landline phone and should it go down it will automatically default to the cell phone for immediate notification. 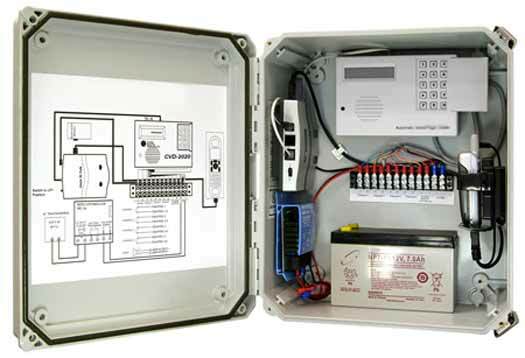 This is an automated AC power lost, AC power restored, low battery notification universal cellular dialer with power failure monitoring. 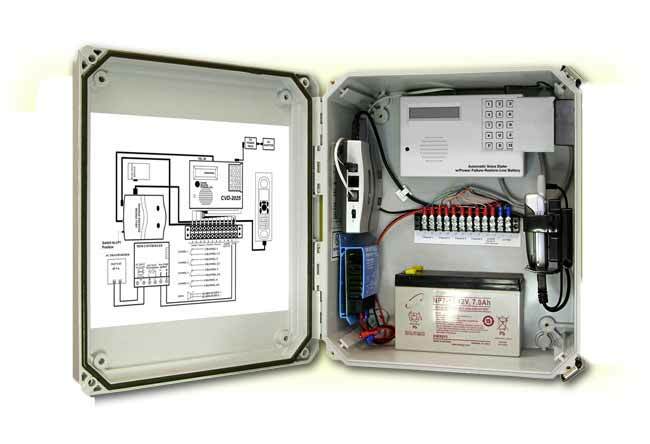 The DC-2025 voice dialer is one of our more popular models ans is completely self-contained, with weatherproof enclosure and four-channel monitoring system with cellular voice dialer. Trigger alarm events are announced via a recorded voice message delivered by the cell phone dialer when the call is answered. 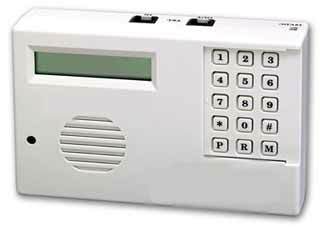 Representing an exciting new level of achievement, the DC-2025 dialer combines technologically advanced features, ease of programming, and reliable operation in a compact, unobtrusive dialer package which is completely compatible with most security alarm systems. It features a Power Monitoring System (PMS) that constantly operates in the background. 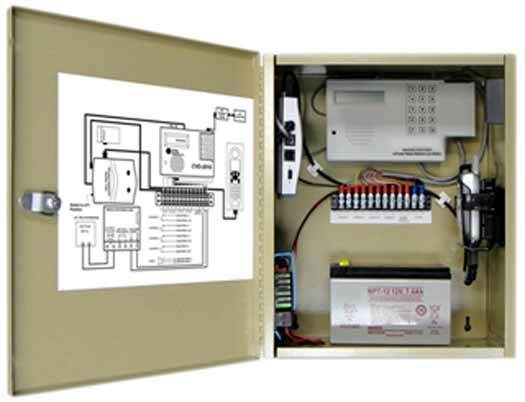 In the event of a blackout, or when battery voltage falls below a safe level, or when power is restored, the PMS automatically dials out and notifies you by means of a pre-recorded voice messages which of the three conditions have been detected: “AC POWER OFF”, “BATTERY LOW”, or “AC POWER RESTORED”. Automatically Calls Up to 8 telephones, cell phones, etc. Current (OPERATE mode - standby): 28mA typical. Current (OPERATE mode - dialing): 100mA max. Cellular Dialers you can count on! and we can help you find a cellular dialer package that can effectively fit your needs.